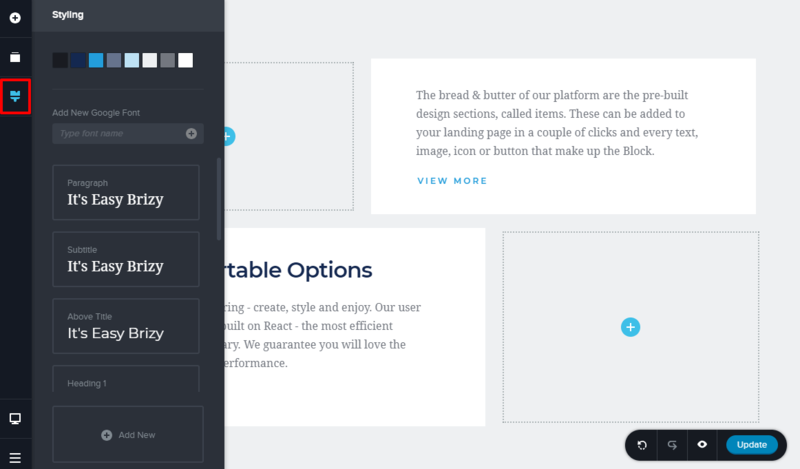 Drag-and-drop page builder fans, we have a new plugin to present to you! We know there are a few solid choices to choose from at this moment, but Brizy is a cool tool that can become a great contender for the throne of page builders. If you read our Brizy page builder review further, you’ll understand why. 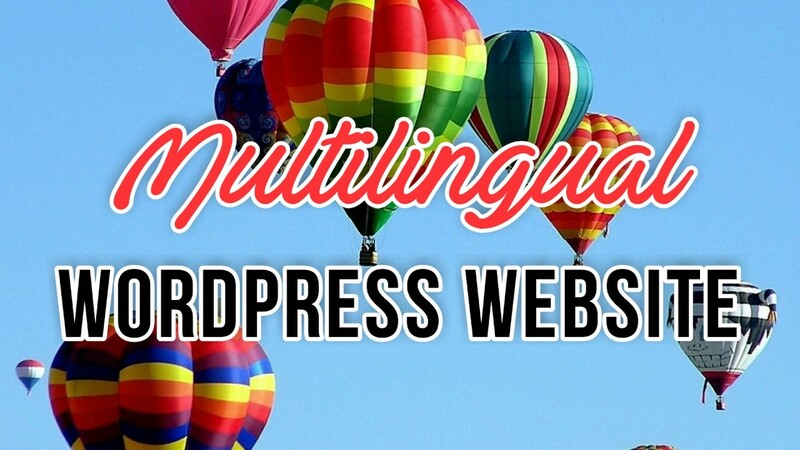 WordPress page builder enthusiasts, this is for you. We just discovered the plugin, loved the way it worked and the nice things it offered, hence we wanted to pay it forward to you. What will you get in this article? Details on what exactly Brizy is, a short tutorial on how to use it, screenshots, and information about future plans and features. Would you rather prefer a video version of the review? 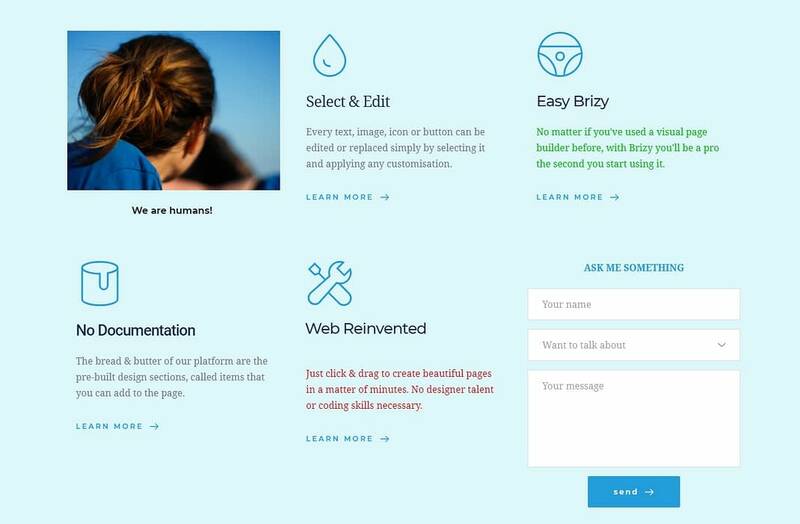 Brizy page builder review: What is Brizy? Brizy is the new kid in town, a fresh tool that joins popular names like Elementor, Beaver Builder, or Divi Builder. 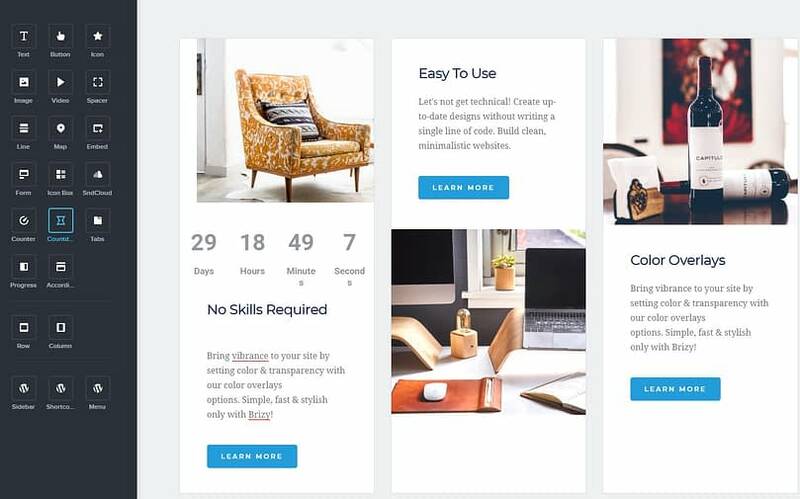 It basically has the same role, that of letting you create beautiful and modern pages without touching code, hiring a pro, or spending money on the perfect templates. Everything about this plugin seems clear. You just need to select a layout and edit it by removing and dragging elements to the canvas; the page builder brings a decent collection of draggable and customizable elements such as buttons, text, lines, counters, tabs etc. In other words, the basics that you would normally find on a page. Like other page builders, Brizy is compatible with all themes, so you can use it on any WordPress site. 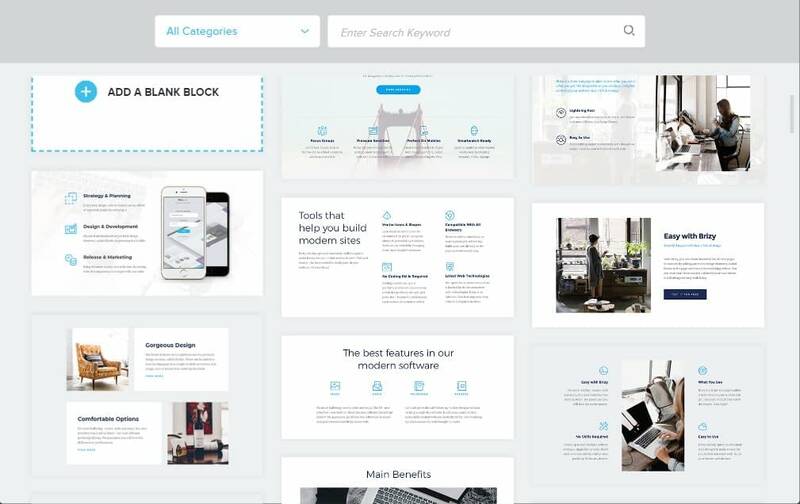 To start off our Brizy page builder review, I’m going to cover the most important features, which should kind of wrap up all the strengths and possibilities you’ll have if you decide to use it on your website. Clutter free. Once you start working with the tool, you notice its simplicity. You won’t stumble upon unneeded elements of any kind. The plugin just works and provides what it claims to provide. No more, no less. Intuitive drag-and-drop interface. I remember testing other similar tools and having a hard time trying to understand what’s the role of a specific option or where should I find this and that. Well, I didn’t have this issue with Brizy. Everything is straight and smooth… like a breeze. Over 150 pre-made blocks. These include multipurpose templates and layouts that you can customize. If you won’t find one to match your ideas, you can at least pick one that’s close to your expectations and re-arrange it to your liking. Global styling. You can set up global styles for things like colors and typography to apply by default and then just edit individual blocks as needed. Mobile-friendly. The plugin offers a mobile view, so you can see exactly how the page you intend to build looks on a phone screen. This way, you have the possibility to adjust the elements and optimize them for other devices. Design elements. Aside from the ready-made blocks, there’s a bunch of elements to help you stylize your pages. You can remove or add buttons, counters, icons, tabs, images, audio/video, columns/rows, forms, progress bars (and more) in just a few seconds. Cloud auto-save. You shouldn’t worry about losing the adjustments you’ve been working on for a long time because all your work will be stored in a cloud. Flexible customization. When you’re editing a pre-built page, you don’t need to stick to its default structure. You can always re-order blocks, change backgrounds (image, video, parallax), redo/undo actions, adjust the paddings and margins, edit the text and the images etc. Over 4000 icons included. 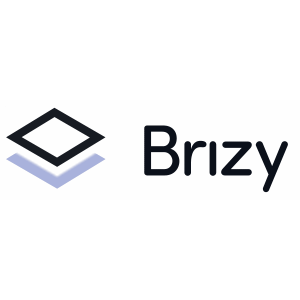 The icons are available in Outline and Glyph versions. Control a block – you can even make a block a slider. And in the bottom right corner, you have some other tools that allow you to undo/redo your actions, preview, and finally publish when everything is ready. So that’s how you edit a page or post with Brizy and what I wrote above kind of concludes what the plugin puts on the table for you. This is basically the full arsenal of elements, options, and settings that you get if you download this tool. At this very moment, Brizy only has a free version, but its developers plan to launch a premium plan soon. So if you’re enjoying the Brizy Lite experience and want to get even more flexibility for future projects, the wait won’t be long. 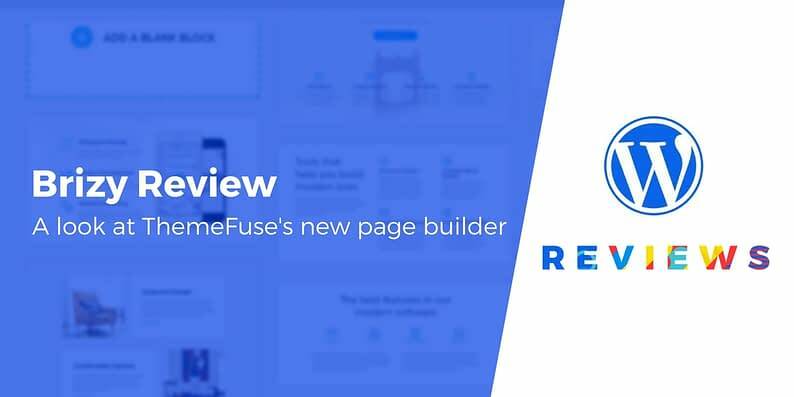 By the end of July, the page builder should be available for purchase. What’s in it for you if you pay for the service? Form integrations (e.g. MailChimp, Campaign Editor). Maybe we’ll write a Brizy page builder review PRO version when that happens! Who should use Brizy page builder? Given the plugin’s current state, I would say that the appropriate users would be the ones who don’t need the tool for very high business ambitions (say corporate goals). The plugin is good for those who are in the initial stages of building, testing, and launching a new business. It’s the perfect choice for people who still want to experiment with their professional identity and still explore possibilities. So local and small businesses would be ideal here. Of course, using it for personal projects is definitely great and will help you big time. Where can you find Brizy? Since it’s a free plugin, you can either download it from its official website or get it from WordPress.org. If you want to set it all up without leaving your dashboard, you can simply search for the plugin via Plugins -> Add New in your WordPress admin page. Have you had the chance to test the plugin? 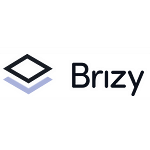 In either case, we would love to know what are your thoughts about it after going through our Brizy page builder review. Do you see it as a big contender for the big fish? Or is it a convenient alternative to its more popular counterparts? Let us know what you think in the comments section below.